With a broad range of pool, spa, and landscape lighting system options, you can turn pleasant poolside evenings into magical nights in your back yard wonderland. Lighting really makes your swimming pool or spa glow and transforms the ordinary swimming pool and backyard into something truly extraordinary. 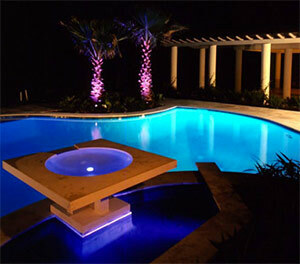 With a wide array of lighting options, today's pool and spa lighting provides you with endless possibilities. Intelligent color changing nichless underwater LED light fixture. Includes 5 static color modes and 4 exciting color transition shows. Stream Note Savi X-Stream, Galaxy, and NOW MelodySOL! Turn your yard into an inviting, after dark retreat. Choose from dazzling color-changing lights as well as standard incandescent and halogen lighting for underwater effects, and fiber optics for perimeter and landscape to complete your pool lighting package. SAVI Pool and Spa manufactures and sells LED systems for both underwater lighting and illuminated water features for residential and commercial applications. For over 15 years SAVI products have been making ordinary backyard pool environments an experience to remember! 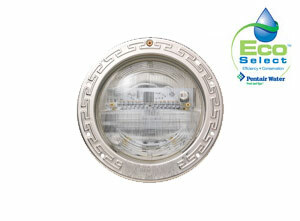 The world standard of reliability for pool lighting. 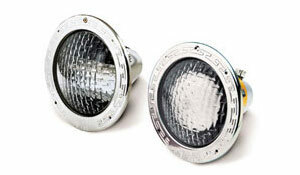 Amerlite®, the world standard of reliability for underwater lights, features a stainless steel shell, 8-3/8 in. prismatic tempered glass lens, and stainless steel face ring with uni-tension clamp. 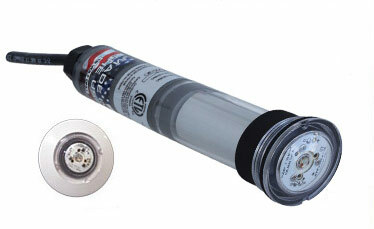 Amerlites are UL listed to install in full-sized Pentair Pool Products, American, PacFab and Purex niches. 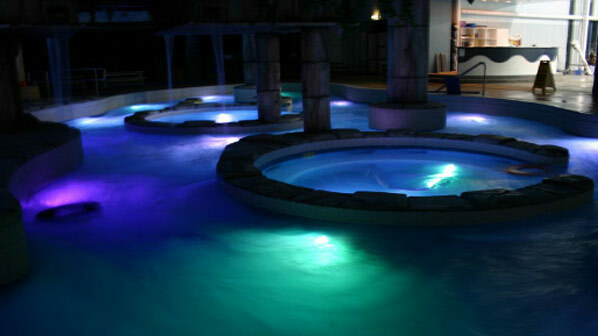 Now pool owners can enjoy the most energy-efficient white LED lights available. 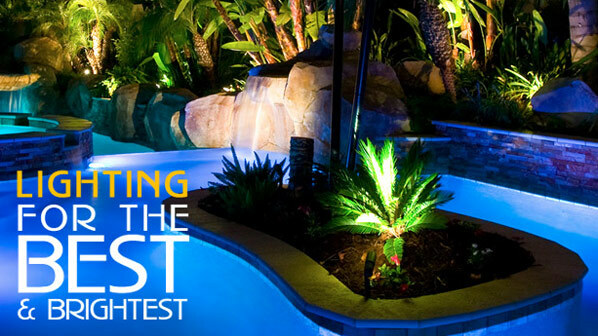 IntelliBrite® 5g White LED pool lights provide the most energy-efficient lighting ever. They use 86% less electricity than incandescent and halogen pool lights.